LaCroix Optical Company produces window substrates in a wide variety of shapes and sizes using optical or filter glass, fused silica or other glass-like materials. All of our windows are produced and if necessary coated at our facility in Batesville, Arkansas. Advanced, in-house metrology including over 30 shop floor interferometers,4 Zygo GPI XP phase shift interferometers, 2 Trioptics Opticentric/Optispheric devices,and a Mitutoyo coordinate measuring machine. 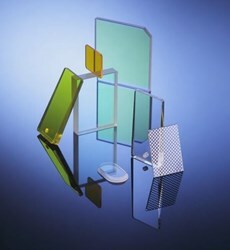 Custom in-house coating capabilities including: broadband, MgF2, UV, and Infrared up to 2.1 microns. Exceptional customer service; we are well known for delivering on time and on budget while demonstrating flexibility to meet the ever-changing demands of our customers. Contact our manufacturing engineers to discuss your specific requirements. Contact LaCroix Optical to discuss their window offerings. Visit LaCroix's Website for more information.